You can't look at sunflowers and feel sad ... they seem to always be looking back at you and smiling! 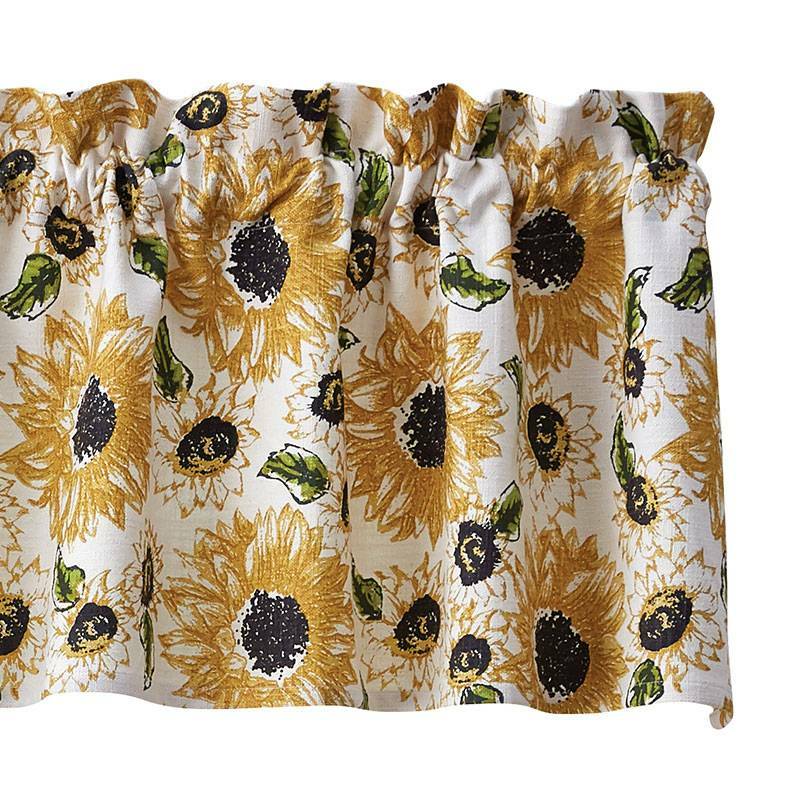 Bring that warmth and inviting feeling indoors with the Rustic Sunflower Valance by Park Designs. Printed on a textured cotton fabric, this eye-catching valance showcases golden yellow flowers, with a sun-like appearance, against a creamy ground.